Time for a new FREE eCoupon at Kroger this week! 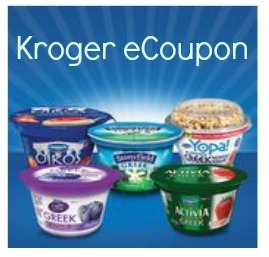 Head over and save the Kroger eCoupon for a FREE Cup of Greek Yogurt, available to be download directly to your Kroger Plus Card. Make sure to download it today, 1/10, but you have until 1/25 to redeem it. Yogurt brands include Stonyfield Greek, Dannon Oikos, and more! Also, don’t forget to enter your shopping list everyday for a chance to win $50 instantly with the Win Your Shopping List Instant Win Game.